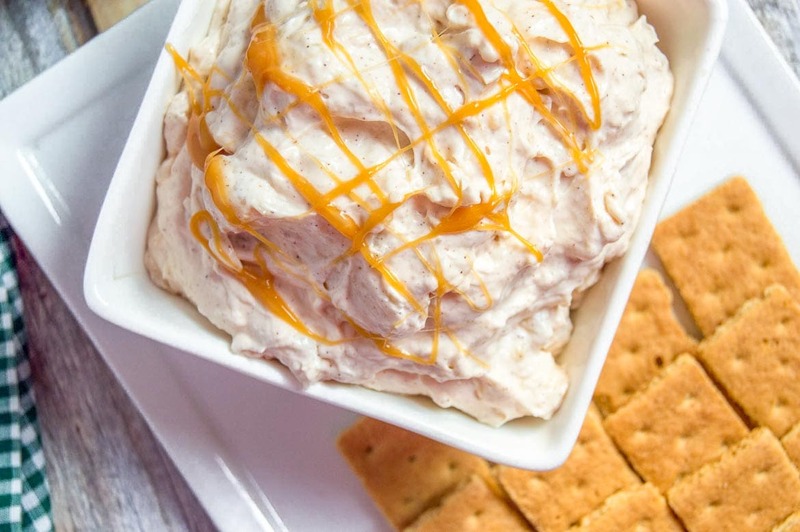 This cream cheese caramel apple dip is the perfect sweet, caramel goodness that your guests will love. Even better, it’s easy to make and a heck of a lot of fun to eat. 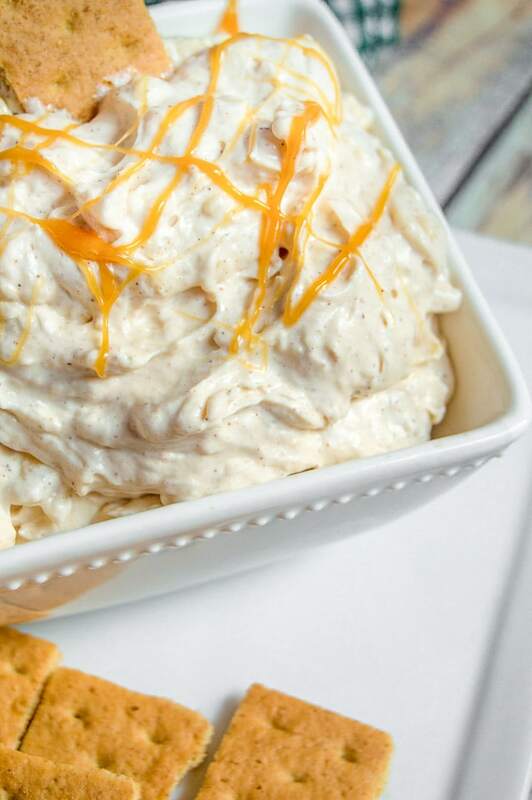 This is a great dip for parties – no one can resist the yummy caramel that’s drizzled so temptingly over this cream cheese apple dip. This is wonderful as an appetizer, afternoon snack or even a yummy weeknight dessert. We’ve shared some of our favorite savory dips, like taco dip, bacon cheddar dip, and queso dip, but this weeks’ all about glorious, sweet caramel apple goodness. We use whipped topping in this recipe, instead of whipped cream, because it makes the dip fluffier and holds up a little better than real whipped cream. That said, you can use real whipped cream, and it will taste incredibly delicious, but it will be a little runnier. 21 oz can of apple pie filling. 2 cups whipped topping. 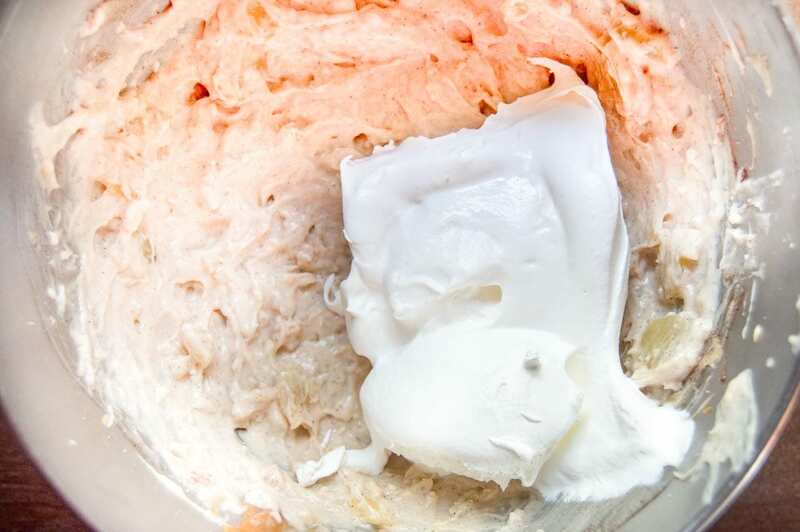 We like to use Cool Whip Whipped topping in this caramel apple dip cream cheese dip since it helps make it fluffy and keeps it from getting syrupy quickly at room temperature. 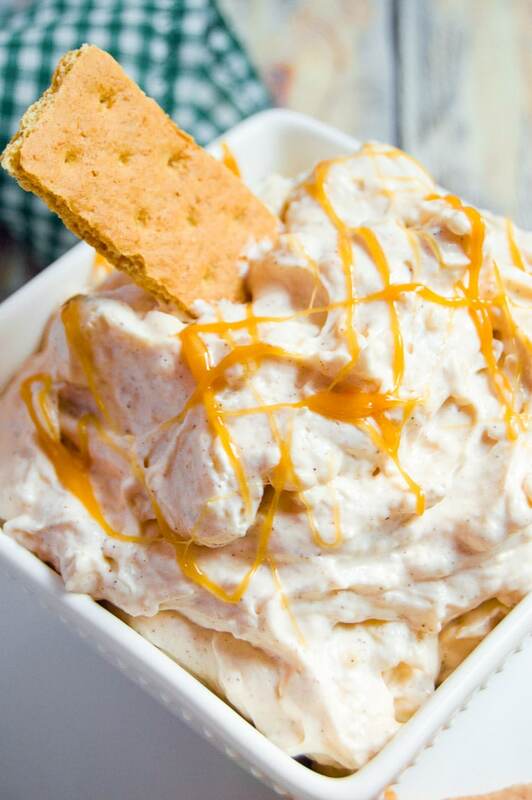 2 oz caramel ice cream topping. 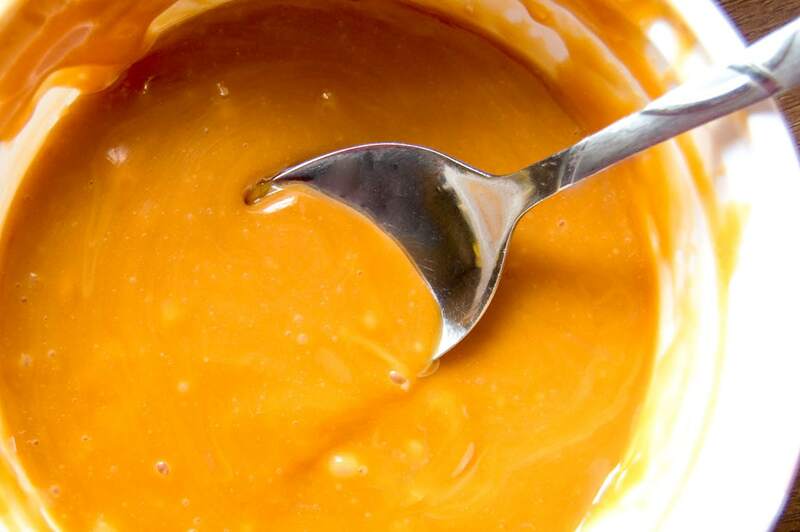 This coconut caramel sauce is especially delicious. Take caramels out of wrappers. Put in a microwave safe bowl, add 1 tbsp. milk and 1 tsp. cinnamon, and microwave on high for 30 seconds. Stir. Add 10 seconds at a time until melted. These can get extremely hot and burn, so be careful! 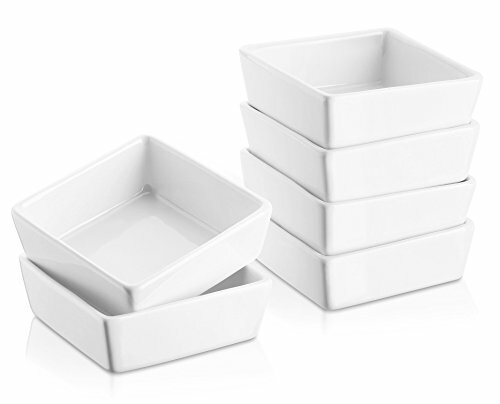 In a separate bowl, beat softened cream cheese for 1 minute, or until smooth and without lumps. We use a hand mixer. 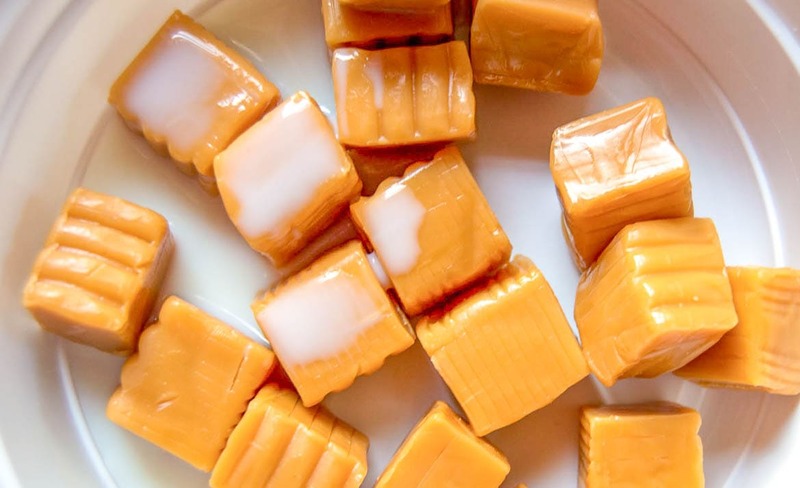 Pour the melted caramels into cream cheese, and mix until blended. 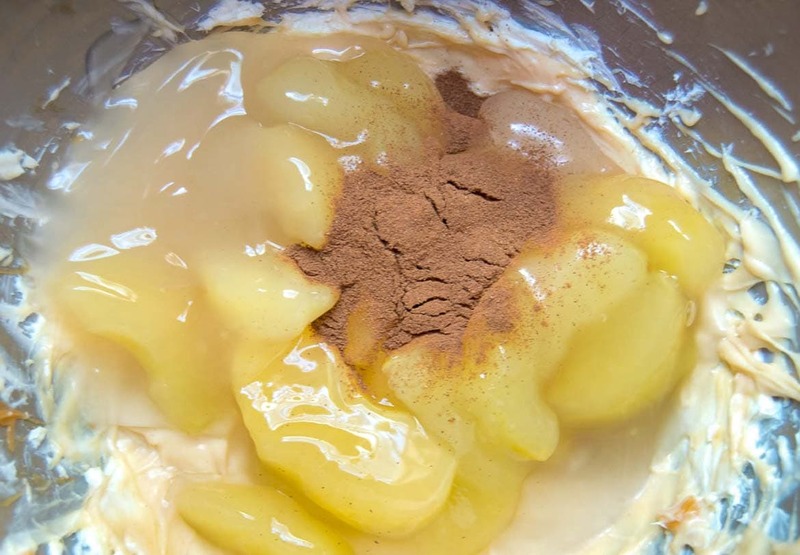 Add apple pie filling and cinnamon and mix for 1 minute. The apples are soft, and should blend into small chunks. Add the whipped topping, and mix on low until combined. Important tip! 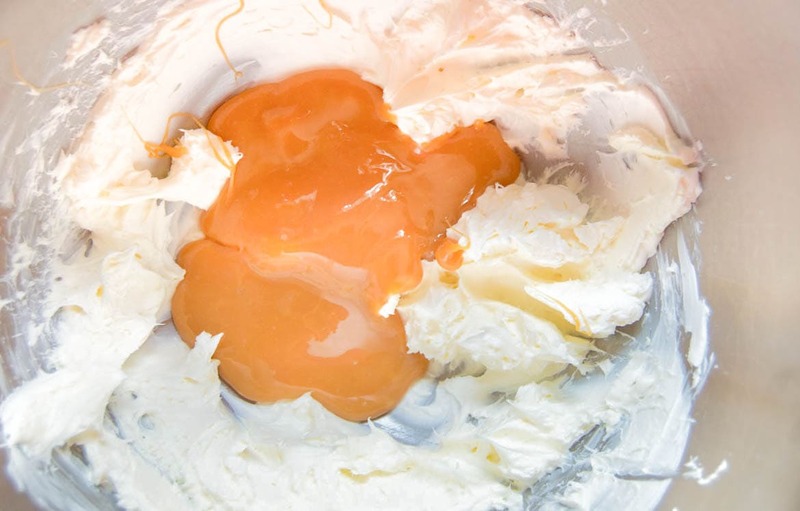 If you use real whipped cream, make sure that the caramel, cream cheese and apple mixture has cooled to room temperature. 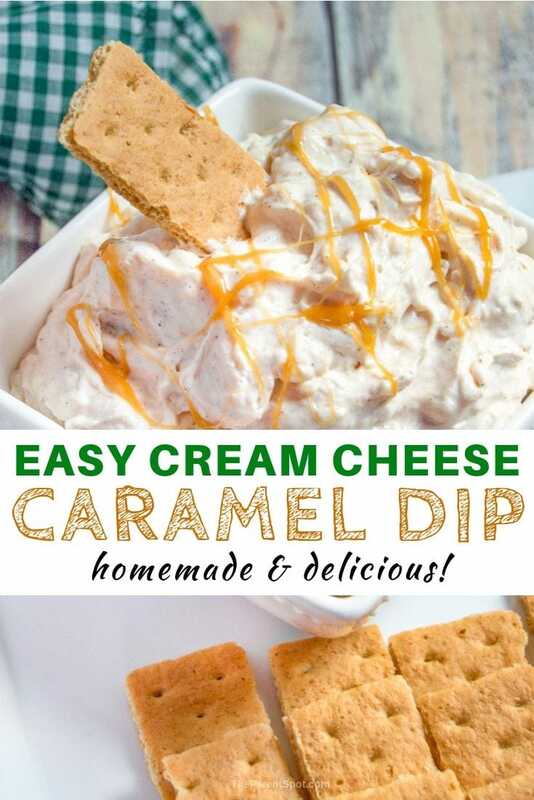 The real whipped cream will become very runny if the mixture isn’t cool, and this cream cheese and caramel apple dip will be a little more like syrup than a fluffy dip. This caramel apple dip recipe is amazing topped with dulce de leche syrup as well, a dash of cinnamon, or finely chopped pecans. Tip! Want to make a cream cheese apple dip with toffee bits? Finely crush 6 tbsp of hard toffee, or a finely crushed Skor bar for a dash of chocolate, and stir in just before serving. Put in the fridge until it’s ready to serve. We love to serve this caramel cream cheese apple dip with graham crackers and cut up apples and strawberries. It’s also delicious with vanilla wafer cookies and other fruits like grapes and bananas. If you’re a fan of a salty/sweet combo, serve it with pretzels. Yum! 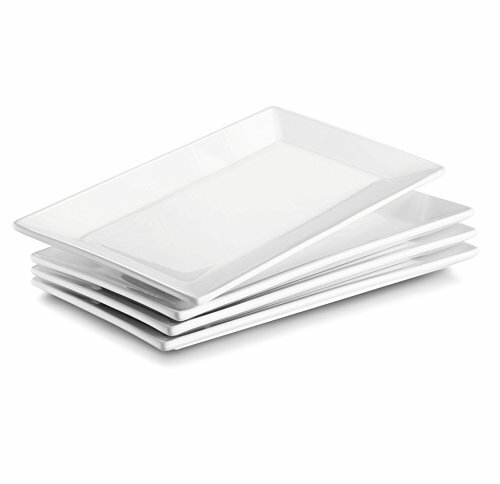 We serve this in a square, white DOWAN 6oz porcelain dip dish, and arrange the graham crackers and other dippers on a DOWAN 9.7 inch porcelain serving platter. What’s your favorite way to serve a delicious dessert dip? Let us know!